Get into the habit of hosting the biggest meal of the year and it has a way of mushrooming into 48 hours of cooking — following a grocery bill of at least $125 (for two dozen guests, both family and friends). 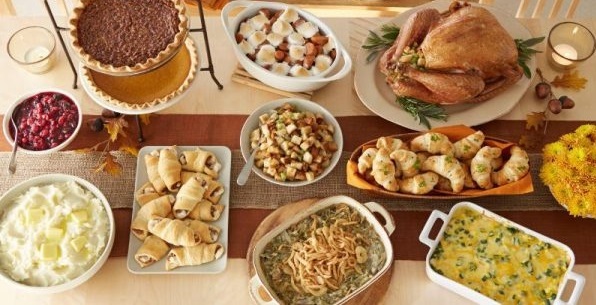 While you might not be able to reduce the amount of time you spend in the kichen, you can save money hosting Thanksgiving dinner if you plan carefully. While most hosts prefer to have too much food left over instead of not having enough, it’s even more frugal not to have to throw away uneaten food in the first place. Avoid wasting food by getting an exact head count and not being surprised by no-shows. Tell all your guests you want to get an accurate head count this year so they’ll let you know if they’re coming or not — and reconfirm with everyone a couple of days beforehand. You could even send out an electronic invitation to encourage people to RSVP, and then send reminder messages a couple days beforehand to double check how many people are coming. By the time you read this article it might already be too late to improve as much upon the following suggestion as you’ll be able to next year: Don’t wait until a few days before Thanksgiving to start shopping. The earlier you start, the more of a chance you have to find the lowest prices and clip coupons. Think about things you can buy in bulk year round and freeze so you might find the lowest per item price at warehouse retailers — ditto for nonperishables to keep in your pantry. You can foster a sense of community among all your guests by asking everyone to chip in — have them bring specific prepared dishes, beverages or condiments. Ask others to help you serve or clean up after the meal. Anyone who balks at your request without having a good reason might merit reconsideration when the time comes to invite people to next year’s Thanksgiving. Asking for help with cleanup ought to include washing the dishes — hopefully this will spare you from the temptation to buy paper and plastic eating utensils and napkins. While they’re certainly convenient, they add to the overally cost of your meal. But using real plates and silverware makes your meal classier. Speaking of skipping the paper and plastic — plus getting help from other guests — if you decorate your dining area or other parts of your home for Thanksgiving, make the decorations instead of buying them from the store. You can maximize your enjoyment of Thanksgiving dinner when you plan it in such a way that you save money and preserve your own elbow grease. Hopefully that will free you up to socialize with your guests more than you otherwise would have. 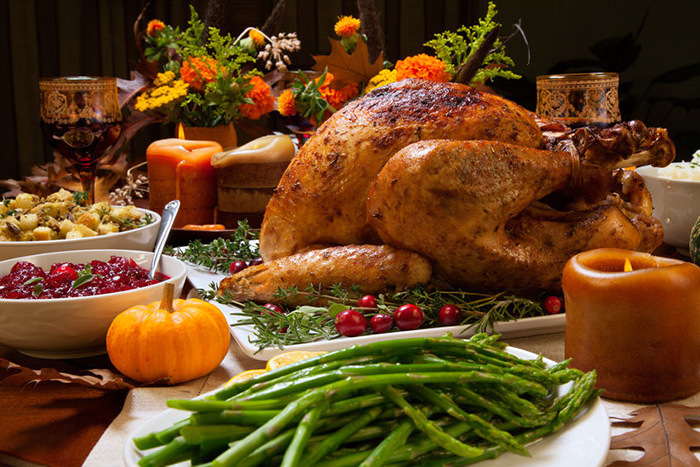 Readers, what are your plans for Thanksgiving this year? Join the newsletter! Subscribe to get our latest content by email. Some good points raised. As a family we’ve always shared the responsibilities of these kind of family get togethers. People will buy certain parts of the meal, someone will cook it, someone will wash up afterwards. It’s a good way to keep this sort of thing affordable.